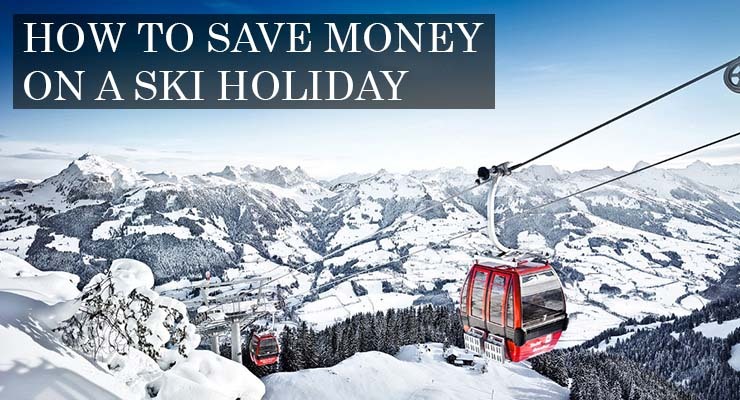 School holidays, such as over Christmas/New Year, mid-term, and even Easter are the most expensive times to go skiing. If you can, go in between these times. Choose midweek dates for even bigger savings. A week-long Tuesday to Tuesday or Wednesday to Wednesday holiday is usually cheaper than a Saturday to Saturday, for example. Of course, you may not be able to follow this advice if you have children in school and are planning a family ski holiday – but if at all possible, remember this tip on how to save money on a ski holiday above all others. 2 – Think about how you eat! Yes, you’ve got to eat. But how you do it can make a big difference over the course of a week. Choosing self-catering accommodation and stocking up on food in the resort store may seem like a money-saving idea, but prices in those stores are usually expensive. If at all possible, make time on the day of your arrival or the morning afterwards to get to the nearest town, and shop in a ‘regular’ supermarket. We know you’ll be anxious to go skiing rather than grocery shopping, but there’ll still be plenty of time for that afterwards! This is a follow-on from our previous tip, but the savings this one simple tip can deliver make it worth mentioning separately. Don’t expect change from €10 per person if you choose to skip this and buy lunches slope-side instead. For a family of four, that’s €200 over five days. Now consider the savings you could enjoy by just making some sandwiches each morning! It’s unlikely you’ll be bringing your own skis or other gear, so you’ll want to rent them at your resort. If you’re travelling on a package, your operator will normally offer this at time of booking. But did you know you can often make big savings by separately booking online in advance yourself? The difference can again be hundreds of euro over a week, particularly if booking for two or more people. Think of it like renting a car for a regular holiday. Your travel agent can do it for you, but you can often get a better deal by shopping around online and doing it yourself. An ‘access all areas’ pass may seem the best value if you compare all options individually. But if you’re just a beginner or even an intermediate skier, there’s no way you’re going to venture onto the advanced slopes – so why pay extra for them? Choose a pass that gives you only what you need. Be aware too that some resorts offer free children’s passes for nursery slopes. So don’t automatically buy a pass for your children too, when first booking. Ask this simple question first, and you could save even more money. 6 – Remember your Winter Sports Travel Insurance! This tip could potentially help you most of all to save money on a ski holiday. If you or one of your party are unfortunate enough to suffer an accident, then our winter sports travel insurance will look after the price of top medical care, and even the cost of returning home if necessary. Our winter sports travel insurance also protects against other things that could prevent you from enjoying your holiday. This includes piste closure cover, equipment cover, and other inability to ski cover. It’s available for as little as €5.66 if you add it to a standard Multi Trip Travel Insurance policy. Even better, it’s included as standard if you choose our platinum policy! A policy from us gives you the peace of mind you’ll need to enjoy your ski holiday to the max. Get your travel insurance quote now!